Diamel tea is a help in regulating blood sugar. Tea is made of dried chicory rootstock (Chichoriae radix), blueberry leaf (Myrtilli folium), shrubbery (Phaseoli pericarpium), melissa leaf (Melissae folium) and pine juice (Juniperi fructus). 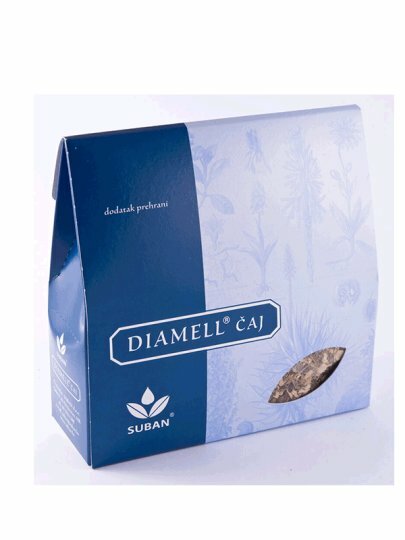 DIAMELL CLEA herbs stimulates the metabolism and stimulates the normalization of blood sugar by its action, it is recommended for blood glucose levels and as a supplemental therapy for elevated sugar.